Surface Pro 3 Lapability: Is It Really This Bad? You are here: Home / General / Surface Pro 3 Lapability: Is It Really This Bad? I love the term “lapability.” I don’t remember exactly when it was first used, but most recently it’s been applied extensively to Microsoft’s soon-to-be-released Surface Pro 3. The concept revolves around how well a device works on one’s lap, typically as some unconventional device is contrasted with conventional laptops. Business Insider posted a story comparing the Surface Pro 3 to the MacBook Air that’s generally fair enough, with some pros and cons for both devices. Their lapability test, though, struck me the wrong way. Certainly, the Surface Pro 3 suffers during the process of crossing one’s legs. Then again, so would a laptop if not held securely, and were I this user I’d simply hold onto the Surface Pro 3 while moving my left leg. 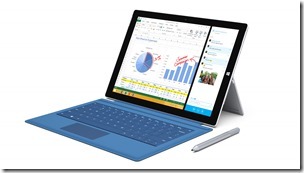 What would have been more helpful would have been to show how the Surface Pro 3 works once the legs are crossed. From what I can see, it should work just fine, requiring maybe a quick adjustment of the kickstand. I’m not going to argue that the Surface Pro 3 is likely to enjoy the same lapability as a standard notebook. Personally, I think it would be generally uncomfortable, relatively speaking (although no worse than notebooks with their cooling vents on the bottom, which present their own issues with lapability). But there’s no reason to contrive situations that make the hybrid look bad, which is what I think Business Insider has done here.